I have been homeschooling my kids, four of them now, for over 15 years. That's a lot of school. And I have learned a lot of valuable lessons during that time. Too many to name. But one of the things that sticks out the most is that every child learns differently. What worked for my girls did not necessarily work for my boys. What worked for my first born does not necessarily work for my last kiddo. AT. ALL. So how exactly do you school that strong willed child? Hand's On- literally! When we are sitting, whether at the computer or at a desk, I often keep my hands on CJ. Sometimes just a hand on his back, sometimes we even hold hands. At the very least I try to touch his arm every once in a while. There is just something about that constant human contact that seems to ground him and help him focus. Change locations frequently. This is no standard school room. Have space? Use it. If not, be creative. Anytime we read we try to find a comfy couch or chair to snuggle in. And shhh, don't tell...sometimes we do school in the floor. Make a game out of everything you can! - This goes against every once of my being. But it works. Here we are doing our memory words using bingo cards! Works like a champ and it is something he asks to do...even right before bed, hence the pajamas! Kids learn best by playing, after all. Be creative! Learning Spanish? Sing the songs! Use puppets. Act out the story you are reading. Use dinosaurs or army men to practice addition and subtraction. Allow the child to be as active as possible. Again, not MY preferred teaching style, but definitely his preferred way of learning. Hence, the action shot! This child does not like to stand still. So we act out our action words, dance to our Spanish lessons and build things to learn math. Give them choices. I often say would you like to do math first or reading? With the older kiddos we had a pretty strict schedule for subjects. CJ, not so much. If things get done, yay us! I do not care what order we get things done in. Here the choice was where should we do this worksheet. In the living room, of course, while we play school. Playing school? Silly me thought we were DOING school! Use the power of motivation. Sometimes I use rewards... "when we get done with this we will have a special treat." Sometimes it is as simple as when we get done with this we can eat lunch. 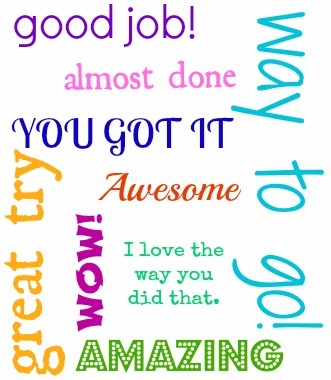 Sometimes it is just carefully chosen words. Regardless of what it is, sometimes just the promise of the next step or the right choice of words is enough to get us in motion. Take little breaks along the way. Call them potty breaks, or stretch breaks or exercise breaks, whatever...but a quick break in the work gives the child a moment to let off steam without being disruptive in the middle of a lesson. If they know it is coming, they can usually hold on. I would recommend you keep it short however, or you may not be able to reign them back in for the next schedule event. Patience, patience, patience and love, love, love! Strong willed children push limits, they break molds and they challenge our patience. But they also have incredible potential. They will be great leaders one day. Our job as a parent is to harness that potential and help them be the superstars that God intended them to be. 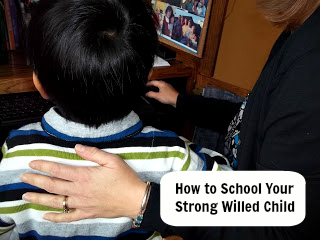 Do you have a strong willed child? How are you helping them learn to be successful in this world? This post is part of a blog hop. Click the banner below to read a few more How-to posts from some special friends of mine! Writing can be fun. Teaching kids to write...not so much. 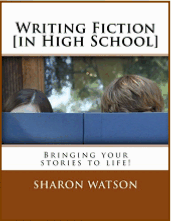 So we jumped at the chance to review Writing Fiction (In High School) by publisher Writing With Sharon Watson! Designed for grades 9th -12th, this program is intended to teach your high schoolers to write fictional short stories and novels in the span of a year. Sharon includes two tracks for the curriculum. One is for all writers at any level. The second track is for those who have already written a manuscript. These additional activities are scattered throughout the lessons. While it is recommended that the best way to complete this course is within a group setting, we found it was not completely necessary. How we used this program- We were given the student workbook, over 300 pages, as well as the teacher's guide to use for our review. The student's workbook is written in an conversational tone, and easily read by just the student, so that's what we did! My daughter, a 9th grader, would read a lesson per day. Then, before doing any of the assigned work, we would use the discussion questions in the teacher's guide to guide our conversation together. Depending on the assignment, we would either do things orally or sometimes in a notebook, depending on her interest. My daughter has spent this past year writing her first novel, so the assignments that centered around her returning to that manuscript for additional work interested her greatly. There were days that one lesson took a considerable amount of time to complete and others that we were able to work through several lessons at one time. My Thoughts- I really do like this program! A lot! It is very thorough, but not difficult to follow. The lessons are broken into manageable sizes and are filled with all kinds of practical assignments. One of our favorites so far has been a very early assignment that had the student write a story using a letter of the alphabet, in order, to begin each sentence. We put a little spin on it by setting a time limit and both my daughter and myself writing at the same time. Not only did we have fun reading our finished works to each other, but then later to our family during our nightly family time. A lion stared at me through the bars. Baring his teeth he growled fiercely. Catherine laughed, "I don't think he likes you!" "Darn, I d hoped he'd like me," I replied. Either way, working with him was my new job. One of the other things that stands out for me in this program is the teacher's guide. It is well organized and gives lots of helps, especially in ideas to help prompt your student(s) in their thought process. It does not just leave you hanging, which I have found that many writing programs tend to do. I do think that this would be an amazing program to use with a group, so that they could discuss, critique, and encourage each other, but we did do just fine with our two way discussions as well! I've done a lot of writing programs. A lot. Writing Fiction has definitely been one of my top favorites. One of the things I liked was Mrs. Watson's approach to the subject of writing fiction. She's straightforward, but informational. Her writing style is not terribly formal, so I didn't feel like reading the sections was a chore. I enjoyed it. I love how Mrs. Watson uses a lot of examples from YA Fiction. Some of the books I had read, and some of them I hadn't. The Last Book in the Universe is read along with the program (I think you have to have it finished by Chapter 4) I liked it so much that I read it in one day. It's about a kid named Spaz and it's an interesting take on the dystopian novel. I liked the characters and honestly wanted them to succeed. There is a list of movies that are referenced in the curriculum to watch, as well as a few books. We were able to get a used copy of The Last Book in the Universe from Amazon, though I am sure many libraries carry it as well. The Final Word- In my opinion, this is an amazing program at an unbelievable price! After using this program, I will be eager to start another one that Mrs. Watson has to offer! Fun Friday- Saving Money in the Kitchen- Drinks, mixes and Staples! Welcome back! Let's jump right in! Sometimes our biggest money wasters in the kitchen are not necessarily the big ticket items like meat. Sometime we can, as my mom says, nickel and dime ourselves to death on the little things. Let's talk about some of those things and how they add up. Packets of this and mixes for that! Costly and not that good for you anyway. Once again, you are paying more for the packaging than you are for what is inside, I promise. Taco seasoning- make your own! Salad dressings- make your own! Onion soup mix (my favorite)- make your own! Ketchup and barbecue sauce (on my to do list! )- make your own! Getting the idea? Each of those things only require a few items that you probably already have in your pantry and are so much better tasting and better for you when made from scratch. You can reason all you want that they only cost a few dollars, but trust me when I say it adds up quickly. 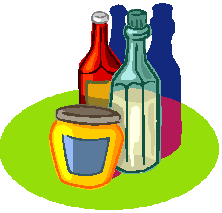 Buy large containers of things like spices, flour of your choice, vinegars and so on (use those coupons!) and whip up some magic in your kitchen. You can do it! And let's talk about drinks! At the risk of getting pounded- juice is NOT that good for you. 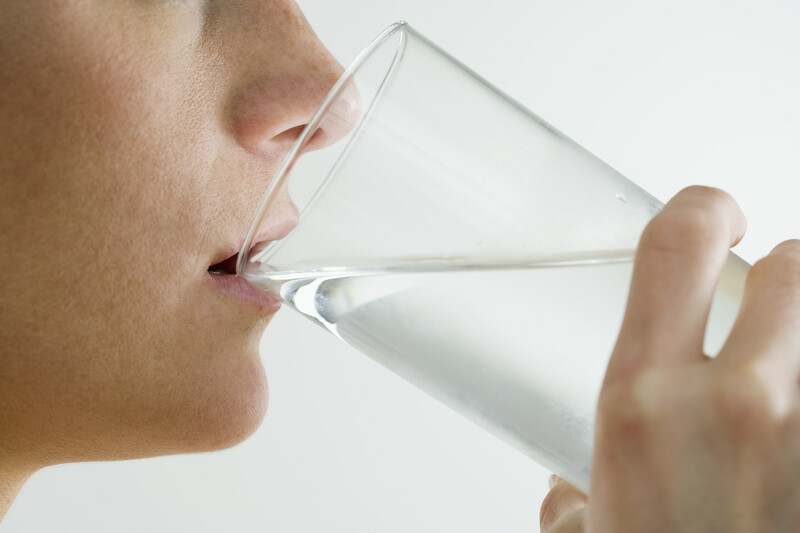 Liquid sugar my nutritionist called it when I had gestational diabetes with my third pregnancy. That and cokes are the two things she completely took away from me. Until then my kids and I were big juice drinkers. It's fruit, after all. NOT! If you want fruit, eat fruit. So we have given it up completely. HA, nope, not yet at least! ;) Old habits die hard, after all. But we have a one-glass-at-breakfast rule which saves a ton of money. Check out the current prices for juice. Ouch! I buy natural versions, dye and high fructose corn syrup free, and only on sale. If you find a good price, stock up! This is one area that coupons have helped me. Then, limit the intake. So what else do you drink? Specialty drinks. We do make Russian Tea and Hot Chocolate mixes from scratch in the winter as a treat. Soft drinks. ummm..."Hi, I am Michele and I was a coca cola addict." And then diet coke. Ask any of my friends. And just like any other addict, I have given them up and then gone right back to them. This time around, since January, I gave them up again and this time I mean business. Saving tons of money and my health. Now, to just get my hubby off Mt. Dew! Coffee and tea. Don't worry, I can see you shifting in your seat and getting defensive, so I will keep this short. Walk away or keep it in check. Again, it costs money to support our habits. Easy for me to say since neither do I like, but money is money and if you need to save, sometimes we have to let go of the extras. Milk. Lucky for me I do not have a house full of big milk drinkers because it is costly. But it is good for you and this is just one of those that I just close my eyes and try not to think about the price tag. Don't beat your self up if you just cannot make a whole chicken stretch for three or four meals. No biggie. Can you do two? Try just a main dish and a soup. Even then, you are saving tons of money and have chicken broth to use as well. Secondly, a friend pointed this out and I think it bears repeating- chicken thighs are an inexpensive alternative to breasts. This is especially true of you are using the meats for things like soups and casseroles. Don't keep buying the same thing and paying a fortune for it. Try something new and see what happens. OK, that's all for my Friday ramblings for now. Two more weeks planned for this series and then I promise I will give you a break. Until then, I challenge you to make one change in how and what you buy and see what happens. Then come back here and tell us how you did. We want to know! 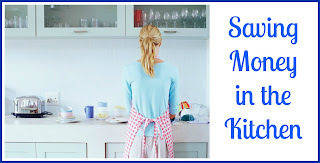 This post is linked up with Caroline at The Modest Mom! A Cry From Egypt Giveaway! 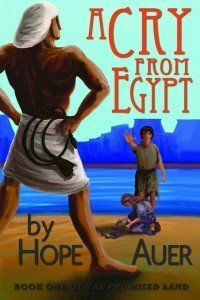 Geared for ages 8 and up, A Cry From Egypt follows a young slave in Egypt named Jarah. The story is set during the return of Moses to plead with Pharaoh to set God's people free. The plot takes many twists and turns throughout the story and kept us on the edge of our seat. There is adventure, romance and lots of biblical information sprinkled throughout. Like did you know that each of the 10 plagues were directly related to an Egyptian belief or superstition? One of the things I enjoyed most about this book as a parent was that Hope did an excellent job of focusing on her story, while staying true to the Biblical account of the plagues in Egypt. She allowed the Bible to speak for itself with the details she presented, neither adding nor subtracting from it. Hope's book is getting ready to be released this week and in celebration she has offered to give one of our readers an autographed copy. Thanks Hope! For those of you with kiddos who are writing novels, this would be a great inspiration to them. For others, it would be a fun read aloud. For those History buffs in the mix, it is a fun addition to your Ancient Egypt study. The possibilities are endless! Disclaimer- Opinions given are our own, and were not influenced in anyway by the author or publisher. No compensation was received in exchange for this giveaway opportuniy, with the exception of the book to the winner. I will have to say that some of the most fun memories of my older kids and schooling them have been fun science projects involving animals. We have watched caterpillars turn into beautiful butterflies and ants make mazes before our eyes. But that seems like forever ago. Now that I have a five year old in the house I am determined that he not miss those same opportunities just because he is the fourth child and mom is old, I mean tired. So look what came to our house this week! ANTS! Would you think I was crazy if I told you we have had the most fun with these silly creatures? Or that we have wasted spent more time just watching them? They really are amazing. Before when we have watched ants we have done the typical sand ant hill thingy. (technical term, I know!) This time I thought the new gel would be fun. OK, let's be honest, I do not even think the gel stuff was around the first time I did these. It is so much easier to see the tunnels. It is amazing that the habitat can go from one small tunnel to a complete maze in just a few days. They are hard workers. You know I had to make a lesson out of it, right? So tonight everyone had to come to the table with a few ant facts to share. CJ- Ants like to eat my food. SP- The wood ant has more than one queen in a colony of one hundred thousand workers. Some tropical ants make their nests in trees by sewing leaves together. RNP- Ants form 15-25% of the terrestrial animal biomass. The sting of a bullet ant is given the highest rating on the Schmidt Sting Pain Index. In India a paste is made of the green weaver ant and it sold with curry as a condiment. Watching ants also opened up a lively conversation about what the Bible says about learning from the ants. Are we teaching our kids to be hard workers? 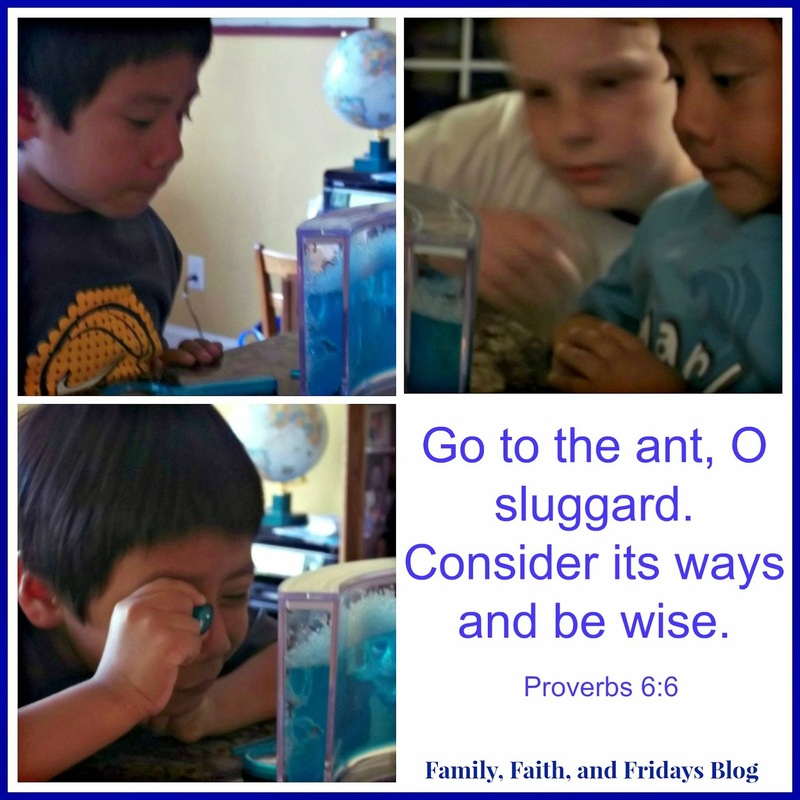 Are we teaching our kids to be diligent? Are we teaching our kids team work? Are we teaching our kids to be good communicators? Are we teaching our kids what the Bible says? There are lessons everywhere if we look for them. Even in a tiny little creature like an ant! What are you teaching your kids this week? Welcome back! So glad you are sticking with us as we find more ways to Save Money in the Kitchen! Last week we talked about one of my favorite subjects- Snacks and Desserts! This week we are on to two of my least favorite subjects as far as the kitchen is concerned- breakfast and lunch. Sad, but true! I am not a huge morning person so breakfast just does not excite me and as far as lunches go, well, there have been times that lunchtime alone could have driven me to send my kids to public school. Seriously! The thought of putting money in their hands and having someone else feed them has tempted me many a time. I mean, I already cook dinner for them every night- what else do they want? ;) Why, lunch, of course. But let's start with breakfast since it is fairly easy. And let's look at the villain of the day- CEREAL! I know, that is harsh, but hear me out. It is processed. It is sugar laden. It is dye saturated. AND IT IS EXPENSIVE! Very expensive. And we are s-l-o-w-l-y weeding it out of our lives. If there is one area in our diet that I have to struggle with my family over, this would be the area! They love cereal. And I used to be the queen of cereal. Stack coupons with sales and you can sometimes get it at a fairly cheap price. But, we have become a twice a week, cereal eating gang, and not very interesting cereals at that! My goal- shhhhhhhhhh, don't tell, is no boxed cereal! Most boxes of cereal cost $3-4. If you only go through one box a week that is $12-15 a month just on cereal. And we KNOW that no family goes through just one box a week. Honestly, before I was convicted about the health reasons not to consume so much, I simply just could NOT justify spending so much money on cereal. It bugged me! Still does. MUFFINS! Yes, we have a thing for muffins. They are cheap and easy to make. Always double the batch when you make them and freeze the extras. Pretty soon you have a wonderful assortment to pull out of the freezer at least once a week. My tip- don't wait til morning to make them. Yes, it smells good in the morning, but most of us just don't have time for that. Make them the night before and move on! Or spend one Saturday a month making several batches to freeze. PANCAKES AND WAFFLES! We do this at least once a week as well, often on Saturday when dad makes them for us! The key here to to make more than you can eat and freeze the extras! Then you can pull out frozen ones and toast them in a minute. Saves you money from buying in the freezer section of the grocery store and are much better for you. EGGS! Eggs are inexpensive compared to many breakfasts foods. If you are blessed to have your own chickens, well, just don't tell me as I will covet them! Scrambled eggs, french toast and breakfast casseroles are easy to whip up. We even do a breakfast casserole overnight in the crock pot that we love! Great for when company comes too! BISCUITS AND FRUIT! Another quick thing to make. I keep a homemade biscuit mix in the fridge that all I have to do is add milk to. No need for expensive canned ones. Mine may not be as pretty, but they are healthier and cheaper! OATMEAL. Notice the lack of an exclamation. That is purposeful. Y'all, I do not like oatmeal. Gag! But luckily my kids and hubby do. It is healthy for you and cheap. OK, you get the idea. Again, the key to saving money is to stay away from convenience food. You pay for it. Don't fall into that trap. I know, you don't have a lot of time in the morning. I understand, I am busy sleeping, remember. Make things ahead of time and become best friends with your freezer. Your budget will thank you. Now, the dreaded lunches. This was once such a problem at our house that I came up with a weekly lunch schedule and did not deviate from it. Monday- Pizza, Tuesday- sandwiches and so forth. I was tired of cooking, tired of trying to decide what to fix and even more tired of four kids having four different opinions on what we should have. While they are older now and slightly less opinionated and therefore we do not follow the strict schedule, we do tend to repeat the same basic things. PIZZA! We do make or have homemade pizzas once a week for lunch. I have a simple recipe that makes a large enough pizza for the kids for lunch AND makes one or two personal size ones to freeze. I layer them between wax paper and then freeze in a baggie. Then, when I do not want to take the 10 minutes to make the dough, I just pull out four of the personal sized ones and pop them in the oven. I keep these on hand all. of. the. time! Who would have thought that homemade pizzas would be a time saver but here in our house they are lifesavers! SOUP! We do this about once a week as well. Choose your favorite, simple recipe, make ahead and freeze. Better for you than the canned stuff. Since I cook a whole chicken almost weekly I will often just make chicken and rice or chicken and noodle soup the day after deboning a chicken. We use brown rice that takes longer to cook so I make it in batches and then freeze 1 cup servings in baggies ready to just dump in the broth. SANDWICHES! That same chicken also makes good sandwiches. Processed meat is expensive, don't go there. Even PB&J is cheaper. MAC AND CHEESE! What kid does not like mac and cheese? Elbow noodles are a dime a dozen. Just add a little milk and butter and a cheese of your choice and you are on your way. Dye free! Yes, it took my kids a little while to get over not having it from a box. But, yes, they did get over it. LEFTOVERS! Sorry, but you know I had to go there. I do not particularly love leftovers either but I refuse to let good food go to waste, so we do eat leftovers several times a week. Usually there are several things to choose from and the kiddo who gets to the kitchen first when called gets first dibs. I am fair like that. Sure, it is easy to grab convenience food from the grocery store, but I am here to tell you, coupons or not, those foods are one of the fastest ways to run up your grocery bill. Don't think so? Look at your last grocery receipt and add it up. You will be surprised what convenience costs these days. Staple items like flour and sugar can be bought in bulk. Cooking from scratch and eating real foods, ones God made- not man, really will save you money! And your health as well. Bonus! So, what are you fixing for breakfast and lunch at your house? Hope to see 'ya back next week for more money saving tips! Linking up with Amy from Raising Arrows! Linking up with Caroline at The Modest Mom! Reading Literature books and answering questions pertaining to them are not new things to my kiddos. It is just one of the easiest ways to check for reading comprehension. But when I heard that Progeny Press had interactive Literature Guides I jumped at the chance to try them out. 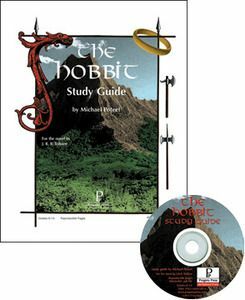 For my 5th grade son we chose The Golden Goblet Study Guide recommended for 5-8th graders, and for my 9th grade daughter, what else, but The Hobbit Study Guide, recommended for 9-12th graders. Progeny Press also offers titles for younger elementary children. The guides we choose, as well as over 100 more offered at Progeny Press are available in an easy download to your computer. Well, easy for the 9th grader who did her own download. Mom, that would be me, messed up The Golden Goblet download, but luckily a quick email to Nathan at Progeny Press got us started again and we were able to correctly download the Interactive Study Guide as well as the separate Answer Key and suggested pre-reading activities. Each guide begins with a synopsis of the book and an About the Author section. Then for each assigned reading you are directed read the corresponding chapters and answer the questions. Set in Ancient Egypt, The Golden Goblet, written by Eloise Jarvis McGraw is a delightful book about a boy named Ranofer who longs to be a goldsmith like his father. Unfortunately for him, his mean spirited brother Gebu stands in his way until Ranofer discovers a secret surrounding a golden goblet. The adventure is a good one and is sure to keep your child interested in reading the book. The Golden Goblet Study Guide begins with a vocabulary worksheet and crossword puzzle and then proceeds to questions. Three to four chapters are covered with each lesson. There is space for your child to answer directly on your computer underneath each question, as well as a print option. Even though my son is not a proficient typist (note to self- get the boy a typing program! ), he really enjoyed this feature. Just remember to teach your child to hit the save button BEFORE he closes the guide. Just saying! Of course, most everyone is familiar with The Hobbit, written by JRR Tolkien. Bilbo Baggins, some friends and a band of dwarfs join together on a quest to middle earth to recover a treasure that has been stolen. The Hobbit Study Guide is presented in a similar manner as The Golden Goblet, obviously just geared for a slightly older audience. 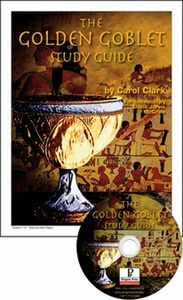 I like that this guide, as well as The Golden Goblet, varies in how it tests the facts and concepts learned- from vocabulary and some multiple choice "just the facts" kind of questions, to thought provoking essay questions. Each section of The Hobbit Study Guide ends with a section called Dig Deeper that has your student use the Bible as a springboard to answer some pretty deep questions. Even with as much Bible background and knowledge as my daughter has, the Dig Deeper sections stumped her a few times and really made her stretch her thinking. They are also wonderful conversation starters between parent and child. Each of the Progeny Press Literary Guides can take 8-10 weeks to complete, covering 1 section per week. They do recommend that you have your child read the entire book to begin with, but we chose not to, but instead only read the assigned chapters for that week, for fear of not remembering the smalls details. One of the glories of homeschooling is finding what works for your child and then go for it. I really like these guides! Admittedly they are very different from what we are use to, yet neither of my kids had any trouble transitioning to a new way. My son especially prefers this to what we have been doing and we are going to continue on through the summer with another one of his choice. There are some great Middle School oldies but goodies as well as some we did not recognize to choose from. "To teach our children to think clearly, to understand literature, and to rely on the scripture for truth and values, and enjoy themselves while they do it!" I love that owners Michael and Rebecca Gilleland are dedicated to teaching Classic literature from a Godly perspective. There is a bunch of junk out there and it is nice to know that this company is devoted to helping you as a parent weed that junk out, while still providing books that have cultural relevancy. I would recommend you look through the list of books for your child's age range and chose the four or five that interest your child the most and enjoy a year of strong, comprehensive Literary study! *Books are also available at Progeny Press! 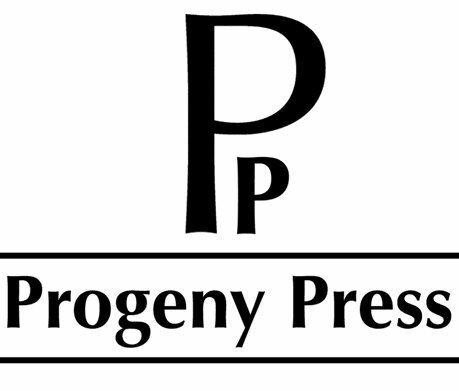 Fellow CREW read other titles from Progeny Press. Click on the banner to read what they had to say! Many of you may know the company Knowledge Quest by the amazing History books, time lines and maps they sell by the truckloads, but did you know they also have a line of historical fiction books as well? We got to review one this past month and we could have not been any more pleased! Sacagawea ebook, an interactive historical novel, is written about the famous woman that helped Lewis and Clark on their expedition west to the Pacific Ocean. Originally written by Karla Akins in four separate parts, this ebook is now available as a whole, encompassing 112 pages of suspense and excitement. A quick download to my iPad was all it took to get us started! I used this book as a daily read aloud to my kindergarten and 5th grade sons. The plan was to read one chapter a day for 16 total chapters, but that got quickly trashed as the boys often begged me to keep reading "just one more chapter!" The only thing that slowed us down was my voice getting tired...these are hefty chapters! 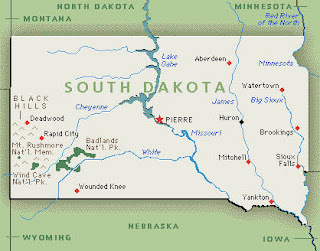 Since we have spent most of our military life in the mid west, my kids have a real interest in the exploration in that area. Sacagawea is one of the explorers we have read a lot about, but reading about her in a historical fiction book really helped bring her character to life for us. To get a glimpse of what she may have felt or thought was a neat addition to the research we had done previously. While many of those thoughts and feelings are only speculation, Kayla relied on and often quoted diary entries made during the famous expedition. The story is intense let me tell you! From raiding Indians to waterfalls and mudslides, there is a lot of action. I was a little concerned a few times when we started to read about the injuries some obtained on the journey and the dogs they bought to eat, but I guess it should be no surprise that it did not seem to bother the boys at all. Go figure! But what makes a book interactive? All of the links throughout the text. Wow! Each time something was mentioned, from a coyote to a river to a specific weapon used, there was a Internet link to go to for more information. Some were even you tube videos on a particular subject. This did trip us up for a while because at first every time the boys saw a highlighted word they wanted to click on it, but we finally agreed that they could look at as many as they wanted AFTER I had finished reading for the day. That worked out better for us and was less of a distraction than going back and forth. After we finished reading I left them to click away. Don't worry, I did not miss much as they were continually running in to show me what they found. Many of the links take you to Karla's personal blog, The History Scroll, that provides a wealth of information she learned from her research for the book. Those were definitely our favorite links. First of all, enjoy! It can be just a fun read aloud for the whole family! Secondly, tie it to your history studies! If you are going to be studying Lewis and Clark I would add this to your must read list. It really will make a great addition. Thirdly, use it as a springboard for a research paper. Or two. The links are amazing! Obviously a lot of time, thought and effort has been put into each link and I can see book reports flowing from those links alone! You can purchase of complete ebook Kindle edition for $4.97. Where You Go, I'll Go! "Yes, we are moving. No, I do not know where!" That has been my canned response since December. Maybe even longer. We are a military family, remember? For the first time in 20 years we really had no say in where we would go. OK, maybe we never had a say, but at least someone was kind enough to pretend we did. Until now. But now, we finally have an answer. We did apply for it a while back, but were told we would probably not get it. We did. Then we were told we would probably not get to keep it. We did! Until recently, it was not even on our radar. But it was on the military's. And on God's! 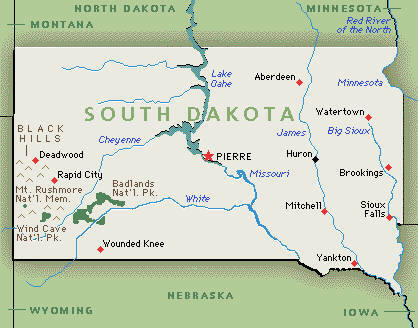 So in June, this family is South Dakota bound! Know much about it? Me neither. But I am excited to learn. Guess that is where the adventure begins! Reminds me of a song.. 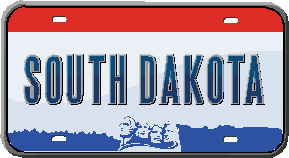 So yes, we are following God to South Dakota! Recently we were given the opportunity to review Supercharged Science e-science program for grades K-8th, though it does have high school levels as well! 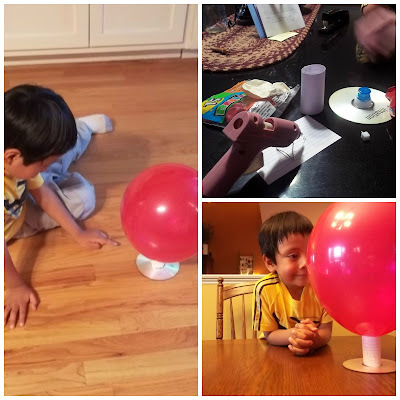 Developed by engineer and scientist Aurora Lipper, Supercharged Science is all about adding fun and excitement to your science program. I am not a science kind of mom and just reading about experiments makes me weary! There are supplies to gather, safety to think about and failed opportunities lingering in the back of my mind. Nice, huh? 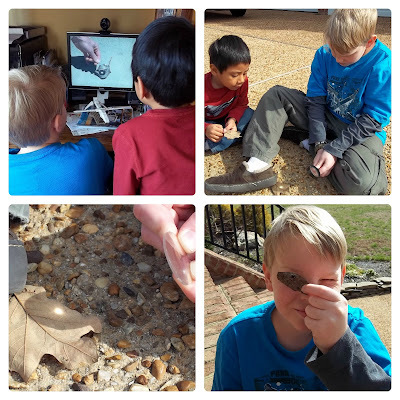 So I have to tell you that this review was a stretch for me, but I so desire to have my kids like science and to actually get to see and do some fun experiments that I took a leap of faith. Supercharged Science far exceeded my expectations. Once you are logged into the e-science portion of Supercharged Science, you are free to choose from the various units available. When you join you will be given access to the first 7 units and then will have two additional units opened each month. If there is a specific unit you really want to access you can email Aurora and she will open the unit for you. Customer service is one of their strong points! There are Units on Chemistry, Biology, Light, Matter and even Math just to name a few. After selecting a unit, you will have a side menu to choose from that includes the lesson reading, which also has a print friendly button, and then the experiments. Included in the reading pages are discussion question as well as the answers. Each unit has multiple experiments you can watch and chose to try. There are over 1000 experiments total on the site so you will have plenty to pick from. Supply lists for each experiment are printable as well making it easy for you to shop for any supplies you may need. Some experiments are easy to do with things you are likely to have on hand, while more advanced ones will require more speciality items. Here is the best part in my opinion- you can WATCH the experiments. Each and every one of them! That may sound trivial to you, but trust me, there have been many an experiment that we have been directed to do in a science book that did NOT turn out like it said it would. I am convinced that if we had been able to SEE what they were talking about we would have had a better chance of being successful. There is nothing more frustrating as having an epic fail on an experiment. After watching the experiment, then you are ready to try it yourself. Or not. There were some that I felt were safe enough for us to try, but there are just some that I prefer to watch someone who knows what they are doing do it. Either way, my kids have gotten to see some neat things, which is more than I can say previously when their wimpy mom read an experiment and said no way! Yes, I am a chicken, and yes, I prefer to let Aurora do some of the more advanced experiments without me. If you have a question or just want to make a comment on the experiment you tried you can post on the website and Aurora will answer you back! There is no doubt in my mind that you can use Supercharged Science as your primary science program and stay busy for a very long time! Each unit has enough reading material and experiments to keep you busy for several weeks depending on how many of the experiments you chose to try. I allowed my 5th grader to chose a unit to start with. Wouldn't you know he would chose Unit 9- Light Waves! I printed off the reading pages, a hefty 33 pages, and we spent the week reading all about light waves, photons and lasers. The following week we set to work on experiments. We tried things like playing with lasers and seeing why a pencil looks like it bends in a glass of water. My son's favorite experiment by far was focusing the sun's light to burn a leaf. We watched Aurora do the activity first, then went outside to try our luck. Even the five year old joined in the fun! The second unit we choose, with a little more guidance from mom was unit 3 on Matter. While this unit I thought was a little more challenging as far as the reading went, we still enjoyed it and learned that there are actually more than three states of matter and got to see a new one we learned about by microwaving a grape! Plasma is ionized gas and can be seen as a bright light when you zap a sliced grape in the microwave. Very cool! ﻿﻿﻿﻿﻿﻿One of the areas on the website that we really liked and found to be less time intensive was the tab Simple Experiments and Videos. Here is where we found experiments with a little background material and a simple set of instructions. We enjoyed trying the simple hovercraft, catapults, and disappearing beakers. I love this area because there are just some days when our energy is low and time is at a premium, but the kids still need a science lesson. While you may not be able to base an entire lesson on those experiments without a little effort, you can keep kids happy by filling in with them occasionally. Often times Aurora will send out a quick email with a experiment link and my boys have learned to watch for those emails with excitement. One of their favorite- heating up Ivory soap in the microwave to see what happens when water molecules are heated up. My kids really liked this program! If I had just looked at the price alone, I probably would have shied away from it, but after using it like we have, I am excited to continue on. I found the site easy to navigate and I love having such quick access to a real scientist if any questions arise. Aurora and her team are super at what they do and it is clear that they love it as well! Keep in mind, this is NOT watered down science. The readings are challenging at times and an elementary child would have a hard time following along, in my opinion. But the experiments can be enjoyed by all and surely they are learning something by just watching. If nothing else, they will begin at an early age to appreciate science. I wish this had been around when I was young. Maybe I would have not turned out to be such an experiment chicken! I encourage you to give it a try! As a bonus for our readers, Supercharged Science is giving you access to some free sample activities and projects. This will give you a chance to try out some activities for free to see how they work for your kids. To access this free sample from e-Science, go to: www.superchargedscience.com/savs-opt-tos1.htm" In Addition, if you are on the fence about signing up, take a minute to go to this page and read "What's so great about this program? It has a great chart comparing it to other programs!